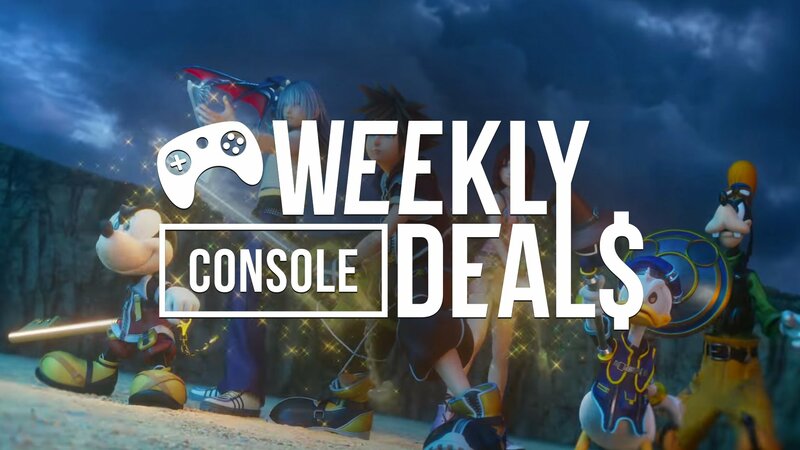 Kingdom Hearts 3 is getting its first digital discount since its release, while Splatoon 2's free demo and sale continues. It was a third chapter that was over a decade in the making, but Kingdom Hearts III is finally out. And less than two months after its release, it's already getting its first sale. If you're looking to see how the battle against Xehanort concludes, you can get a good 25 percent off the regular price on both PlayStation 4 and Xbox One this weekend. Elsewhere, the PlayStation Great Indoors Sale is hitting its second week, with a handful of top games getting major discounts. That includes games like Far Cry New Dawn and Red Dead Redemption II. But now Xbox is getting in on the action with their own Critically Acclaimed Sale that slashes prices on some top games. Over at Nintendo, they're celebrating the indies this week with its big indie sale. But on top of that, Splatoon 2 is in the middle of its week-long free trial. If you're enjoying inking people online, the game's on sale from now through next Thursday, so be sure to give it a look. Adventure Time: Pirates of the Enchiridion - FREE! Plants vs. Zombies: Garden Warfare 2 - FREE! The critics have spoken! Find all of the top games featured during the Xbox One Critically Acclaimed Sale. Find the full list of games featured during the Xbox One Square Enix Sale. It's a fun weekend to stay inside. Find the full list of deals featured during the PlayStation 4 Great Indoors Sale. EA's best games are on sale, so find the full list of deals offered during the PlayStation 4 EA Publisher Sale. Metal Gear Rising: Revengeance - FREE! Find the full list of games featured during the Xbox 360 Square Enix Sale. It's a fun weekend to stay inside. Find the full list of deals featured during the PlayStation 3 Great Indoors Sale. EA's best games are on sale, so find the full list of deals offered during the PlayStation 3 EA Publisher Sale. Monthly freebies for PS3 and PS Vita have come to an end. We'll update this space if any deals pop up. It's a fun weekend to stay inside. Find the full list of deals featured during the PlayStation Vita Great Indoors Sale.